At Krueger’s Auto Tech & Tire Center you can expect a very clean environment and we also have a waiting room equipped with snacks and magazines for your convenience. We’re always ready to get you back out on the road. 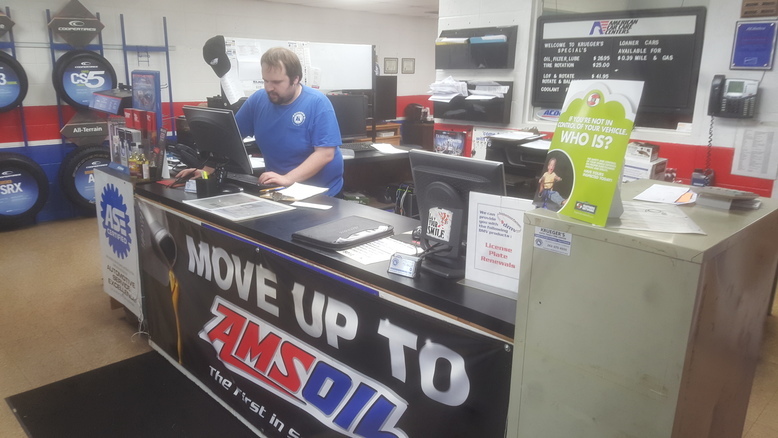 At Kruger's we also know about the AMSOIL advantage and we have AMSOIL synthetic oil products available for purchase.